Live Music nightly in the V Lounge. Visit www.eddiev.com for our calendar of bands. 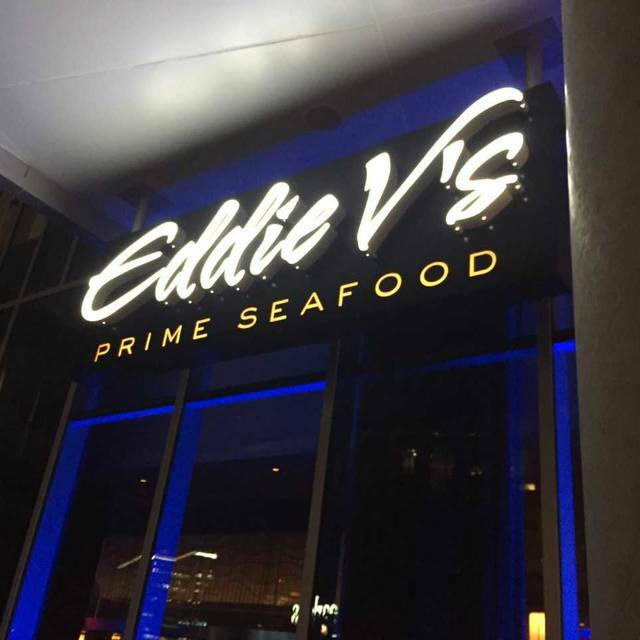 Join us at Eddie V's in Tyson's Corner and let the comfortably sophisticated environment, sparkling atmosphere, and sounds of live jazz that fill the air set the tone for an exceptional dining experience. 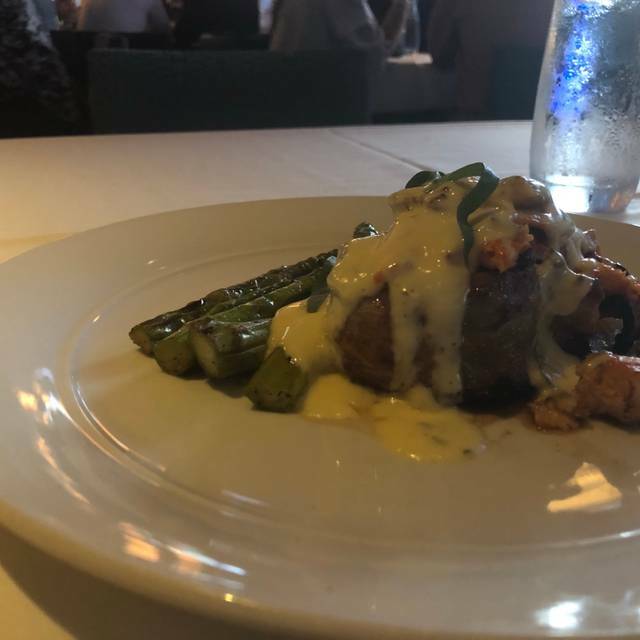 Choose from a varied selection of the finest seafood available, or indulge in our critically acclaimed prime center cut steaks, aged 28 days and broiled to perfection. Complement your meal with a selection from our wine menu — an award-wining list of more than 200 wines curated by our Master Sommelier. If a more relaxed experience is desired, visit our V Lounge where you can sip classic and creative cocktails, and enjoy signature appetizers against a backdrop of soulful jazz and seductive lighting. Whatever the occasion, from a quiet weeknight dinner to a special private event, let us handle every detail. We'll do the work. You bask in the glory. We went there for a special occasion and they really made it feel special. Lovely evening at Eddie V's celebrating my husband's birthday. This was our first visit to the restaurant and it won't be our last. There was plastic that fried in with our calamari! The food is always outstanding - although the oysters weren’t up to their usual standard. One recommendation would be to have the happy hour “bar snacks” available all of the time, even if at a higher price. Some of those are delicious also. "Tech" is SUPER!!!!!! so is Brett!!!! Both of these two persons should be commended with some kind of reward or commendation as they are absolutely phenomenal in supporting Eddie V's and what it stands for. I am writing to express the wonderful experience at Eddie V's!!! 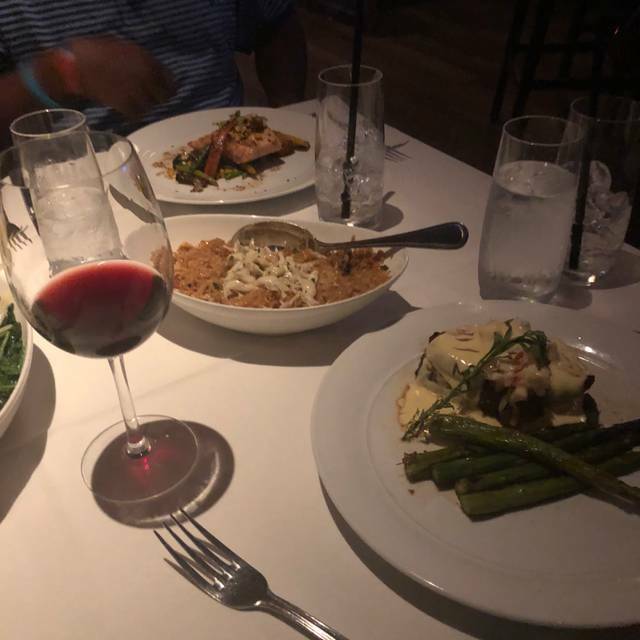 Ironically we dined (Dad, Brother & I) at Seasons 52 and was planning to try out Eddie V's and so glad that we chose it this time. I am bringing my Wife back soon!!! 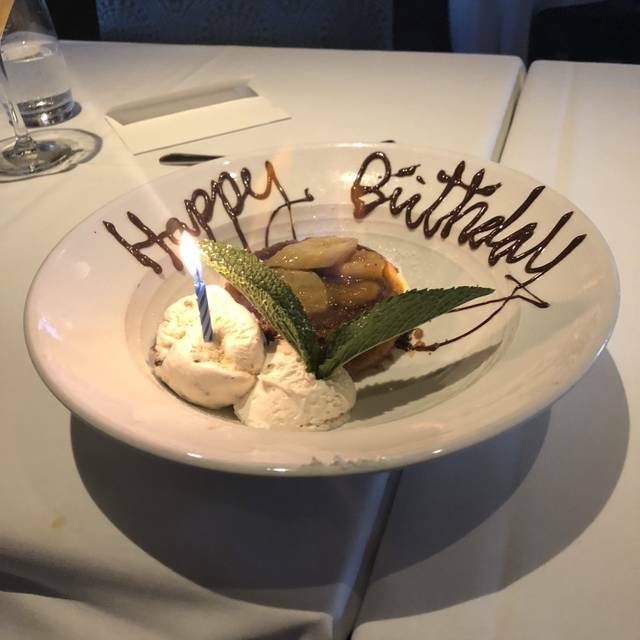 I took my aunt there for her birthday and the restaurant could not have been more welcoming. They brought her a birthday card, beautiful dessert and made her feel like a rock star. Food is very good but service was truly spectacular. Great place for a business meeting or an intimate meal. Highly recommend! This is an amazing restaurant! The music was at a perfect volume. Pleasant enough to enjoy and have a conversation. The food was delicious. The service was outstanding! Eddie V’s goes above and beyond!! My favorite Restaurant and I go out a lot. Lobster Tacos and Filet insane good. Amazing service. Manager, Anthony Gerena takes care of business!!! Had a great experience. There was a slight 15 minute delay in getting seated due to the previous customers not vacating the table even though they had paid already. The manager, Adam, took care of us for the delay. Great service, food, and ambiance. Our waitress Ashley C. was simply the best! She made our lunch experience incredibly enjoyable by simply being super nice and attentive. Everything was very nice. Food was delicious and the band was awesome! Great time at dinner this past Saturday night. We really enjoyed the food, live music and ambiance. Beautiful restaurant with very good food. Only issue is that the ice they use the glasses of water has a slight fishy smell. It isn’t noticeable at first but after the ice melts some it is very noticeable. I asked for a fresh water and it had the same issue. It seems like such a nice place could get this detail right. Best service I’ve had in the area. Would highly recommend. Great ambiance, delicious food and Bolade is the best server there. The perfect place to celebrate any occassion or just because. 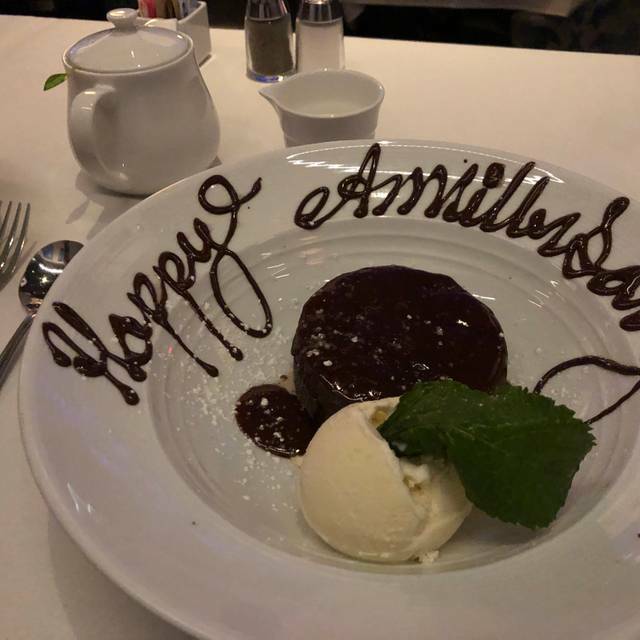 Celebrating our anniversary was amazing! The staff and food is always impeccable. Fantastic live music, drinks, food & service. We always enjoy going here! Fire alarm was going off entire meal. Service was good but had to flag down server to get his Ttention after meal came. Also, were seated in bar and not given option of dining room. Plan on being seated at least 30 minutes after your reservation time. Its was comedy of errors. From food being overcooked for all of us to wrong dishes to plastic cover left on ice for cocktails multiple times. They only charged us for drinks and apps as they screwed up all the food. Celebrated spouse's B-Day. Great food and service. Reservations were running behind, had 9:15p reservation didn’t get seated until 9:45. A little frustrating, but had a very good dining experience. I’ve been many times usually in the week. Saturdays seem to be mayhem for the team - booked several days earlier for 8:15pm. Arrived at 8:10 and waited 5 minutes to be acknowledged then told it’s really busy and they won’t have any tables for another 20 minutes. So, no biggie, we went to the bar for a drink. We were eventually seated at 9:10 at a high top table right by the bar. Then had a little trouble with a steak which was over done, and the replacement was most under done. I sound like I’m one of those who moan about everything, but I like to share the facts when a place which is ordinarily excellent messes up. The manager did apologise, adjusted the check and committed to a better service next time. I will of course return but I hope they find a way to manage demand on Saturdays because it makes for a bad experience especially on special occasions. We had a 20 minute wait for our reservation—something we have not previously experienced. I had really high hopes for this place, but it just didn't deliver. We waited over 30 minutes past our reservation time, which is to be expected I guess at 7:30 on a Saturday night. We started the meal with some delicious oysters and lobster bisque, and then things went downhill. 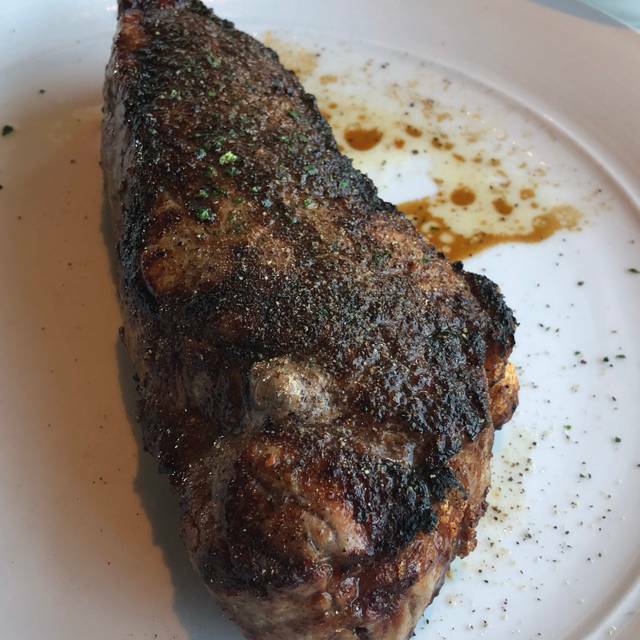 We ordered the bone-in NY strip steak cooked medium, and it arrived somewhere between rare and medium rare. Even the manager looked shocked when we showed him. 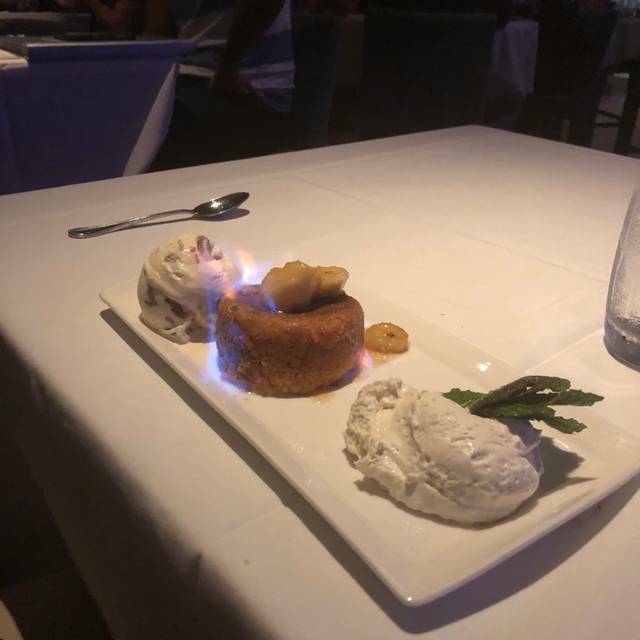 They did cook us a new steak, which was cooked perfectly this time- I just wasn't expecting this kind of mistake at this caliber of a restaurant. 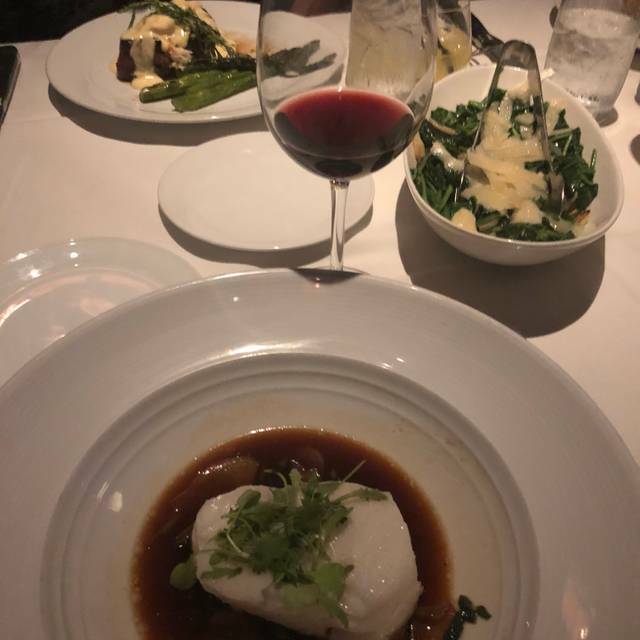 We also ordered the sea bass, which was cold in the middle and honestly didn't impress me at all. I didn't bother sending this one back. If you've been to Seasons 52, their sea bass entree is prepared the same Asian style, but it's MUCH better and less $. We most likely won't be back. We had a wonderful birthday dinner! The food was delicious and the wait staff was very attentive. Our waiter brought us champagne and a special birthday dessert. Good food and good service,although it is too loud! The fish was under cooked and steak over cooked. Very loud with talking and a band playing. The food very good and the service was excellent! 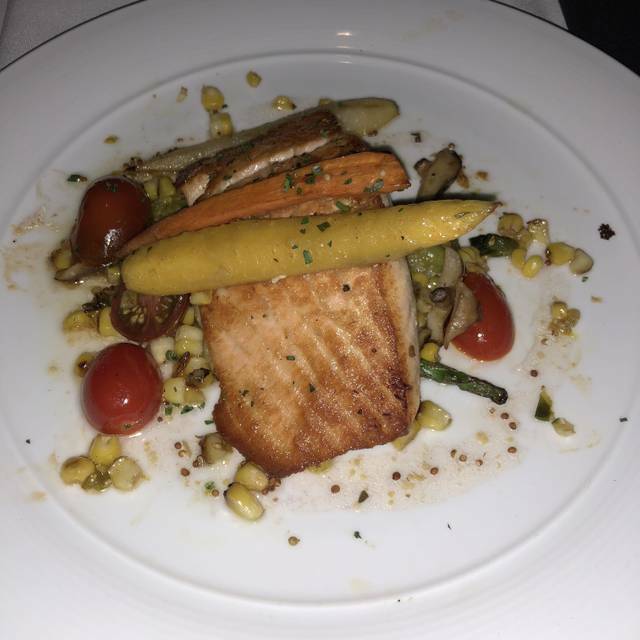 We would highly recommend Eddie V's to anyone looking for fine dinning. Service and food is superb! !